Do you like club shows and winning Riot Fest tickets? 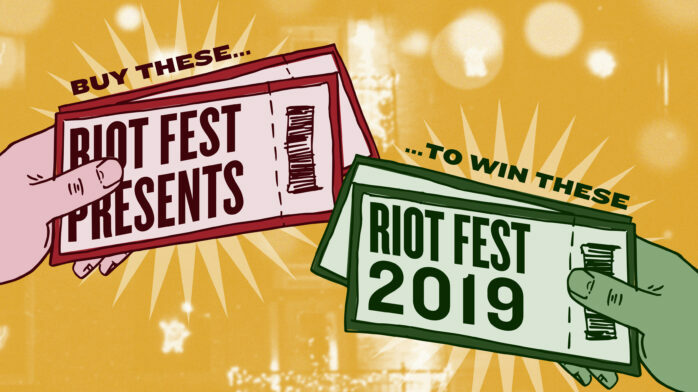 Buy a ticket between now and December 31st, 2018 to any Riot Fest Presents show, and you will be automatically entered to win a pair of Riot Fest 2019 VIP tickets. That’s all you have to do. Just buy a ticket to Trophy Eyes and Seaway, or The Lawrence Arms, or Nothing, Nowhere, or Knuckle Puck, or Makeout, or Four Year Strong, The Amity Affliction & Senses Fail, or Radar State, Le Butcherettes, or Set It Off, or Clutch, or Hatebreed, or The Original Misfits, or a bunch of other shows we haven’t even announced yet and you’ll be entered to win. But if you go see local music at a local venue, you’re already a winner.